You could spend every waking minute keeping-up with Facebook marketing, but it all boils down to these Top 10 Must-do things. Grab your free guide today, and start getting results from Facebook straight away. 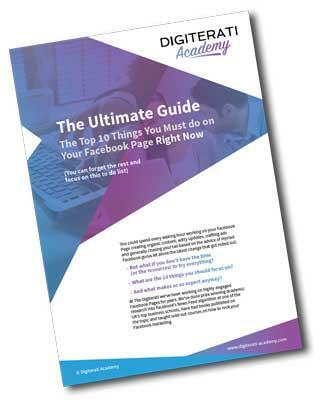 Did you forget to grab your free copy of The Ultimate Guide to Facebook Marketing? We've condensed all our best stuff into this quick guide which you can put into action immediately and start seeing results.